Dating back to the first century AD, this former Roman temple is probably the oldest still used building you’ll ever have been in. It’s certainly the best preserved Roman building in Rome, partly because it was converted into a church by a Pope in around 609AD. Outside, the building shows its age with a huge stone canopy and ancient brickwork, but inside you get the full view of the magnificent dome. The building is lit by a single portal opening in the roof which lets in an amazing amount of light. We found the way the ball of light from the roof moves around the inside of the building quite hypnotic. Even today, it would be difficult to construct such a dome with the technology they had at the time safely. The Italian painter Raphael is buried here. 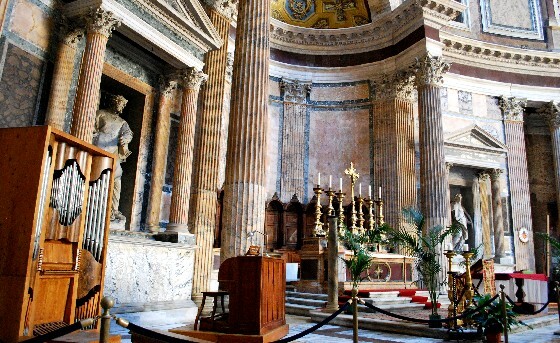 The Pantheon is still a working church and as such admission is free. It is occasionally closed for services and events though. The Pantheon is in Piazza della Rotonda where you can also spend some time gazing at the stunning water fountain. This is an extract from our free Rome City Guide. Inside the Pantheon there are some free information signs which give you background in English and Italian on the history of the building. For a small charge, there are also some interactive screens and an audio tour. When you visit, make sure you walk around the outside of the building. You’ll get a real feel for just how big it is and you can see all the original Roman brickwork giving you an idea of just how much work must have gone into creating it so long ago. 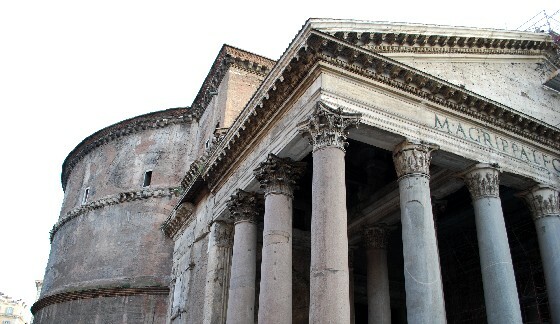 There are a number of organsied tours you can take which call in at the Pantheon including the highly rated Ancient Rome Half Day Walking Tour. You can see details of all the tours available in Rome and get latest prices in US Dollars here. 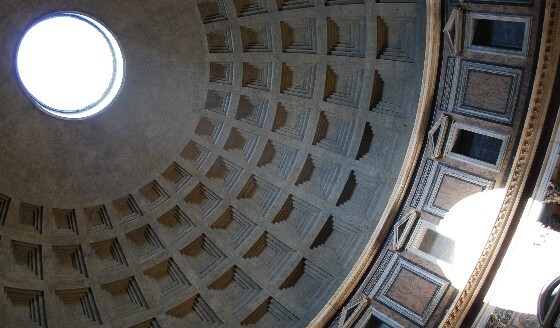 The Pantheon is open Monday to Saturday from 9am to 6.30pm and on Sunday from 9am to 1pm.